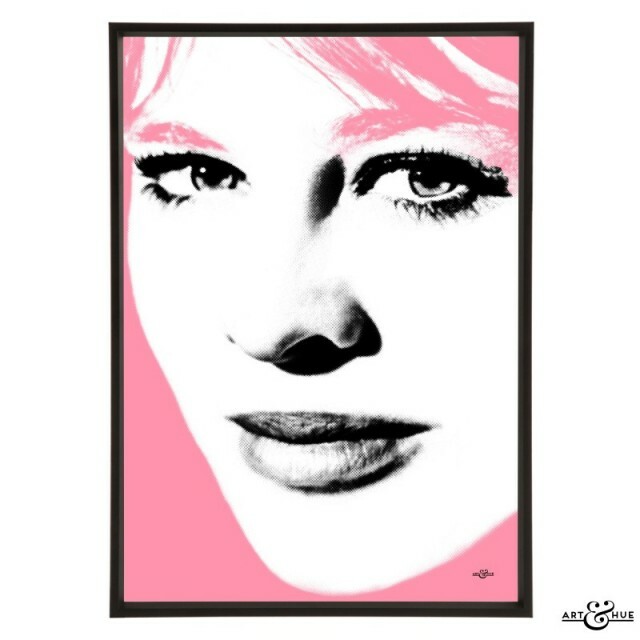 Art & Hue presents a new collection of stylish pop art, inspired by the “darling” of the 1960s, British actress, & original “It”-girl, Julie Christie. 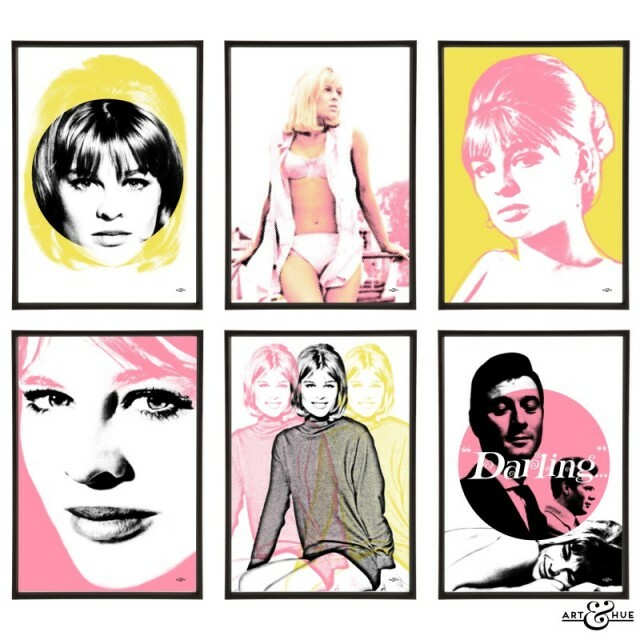 An official collaboration with Studiocanal, Art & Hue has dived into the archives at Pinewood Studios to uncover images of the iconic actress from the acclaimed films “Billy Liar” and “Darling”, which have been transformed into six stylish pop art prints in a wide choice of colours. 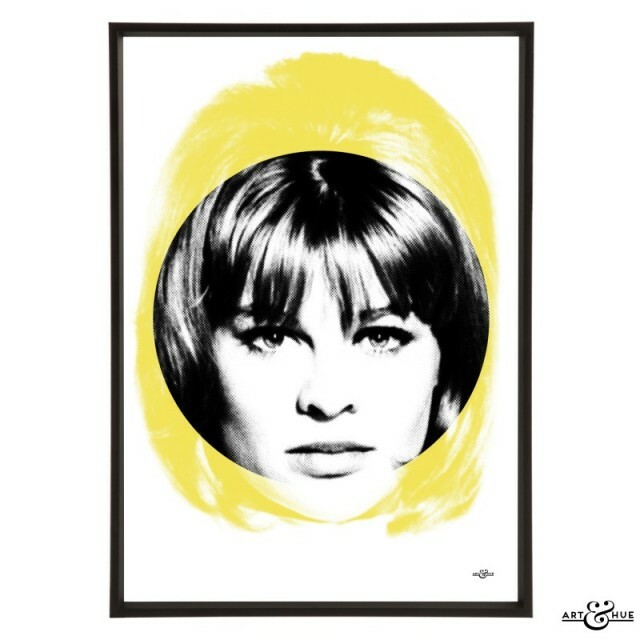 Directed by John Schlesinger, “Billy Liar” introduced Julie Christie to cinema-goers as the free-spirited Liz and, even though she was only onscreen for a relatively short amount of time, she captivated audiences as the embodiment of 1960s carefree and adventurous youth. 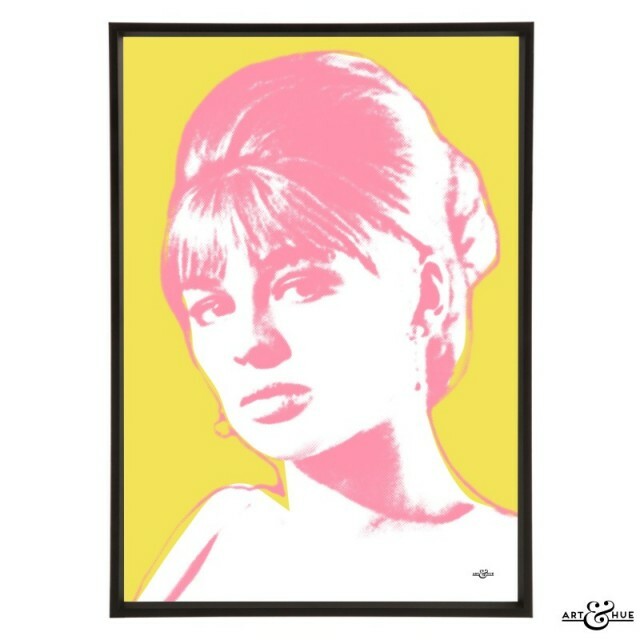 A couple of years later, Julie Christie portrayed Diana Scott in “Darling”, also directed by John Schlesinger, which made her an international star and won her the Academy Award for Best Actress, leading Life magazine to describe 1965 as “The Year of Julie Christie”. 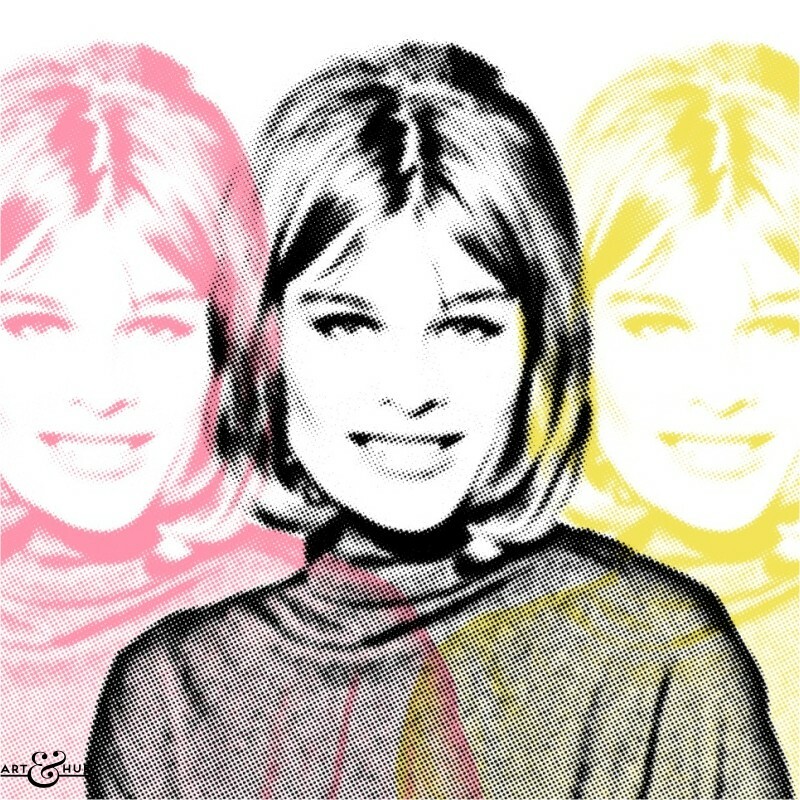 Watching her performances in “Billy Liar” and “Darling” now, her natural talent and modernity seems to have been transplanted back into the 1960s like a time traveller. 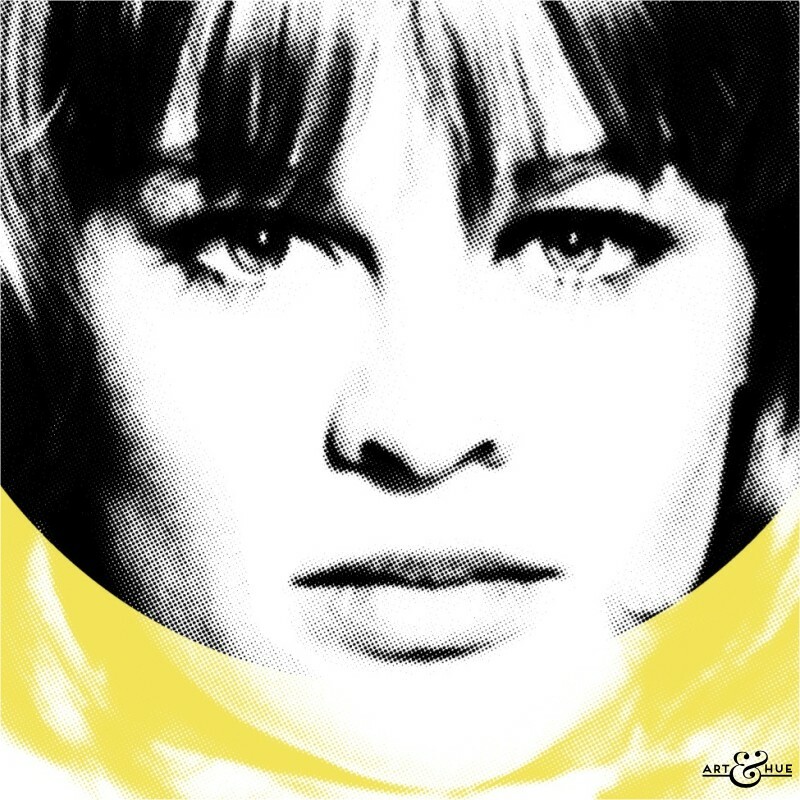 As well as forever being an icon of “Swinging London”, Julie Christie has given memorable film performances in widely admired and cult films, from “Doctor Zhivago” and “Far From The Madding Crowd”, to “Shampoo” and “Don’t Look Now”. Whilst she has cut back on filming in recent years, she still continues to inspire and gain plaudits, in both her earlier and more current roles, such as her Oscar-nominated performance in the 2006 film “Away From Her”. Exclusively by Art & Hue, the collection features Art & Hue’s signature halftone style (halftone is an age-old technique that uses dots to make up the printed image, similar to newspapers or comic books). Available in three sizes and 23 colour options, all Art & Hue prints are printed on museum-quality archival card of 310gsm, made from 100% cotton, with fine-art pigment inks for longevity. “Billy Liar” is available on DVD & Blu-ray from Amazon, or you can watch it now on iTunes. Likewise “Darling” is on DVD & Blu-ray, as well as iTunes. 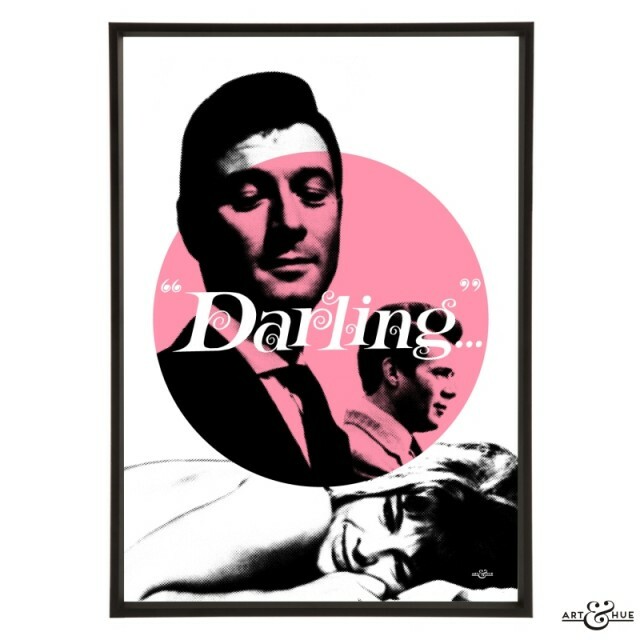 “Darling” Copyright © STUDIOCANAL Films Ltd. (1965). All rights reserved. “Billy Liar” Copyright © STUDIOCANAL Films Ltd. (1963). All rights reserved.